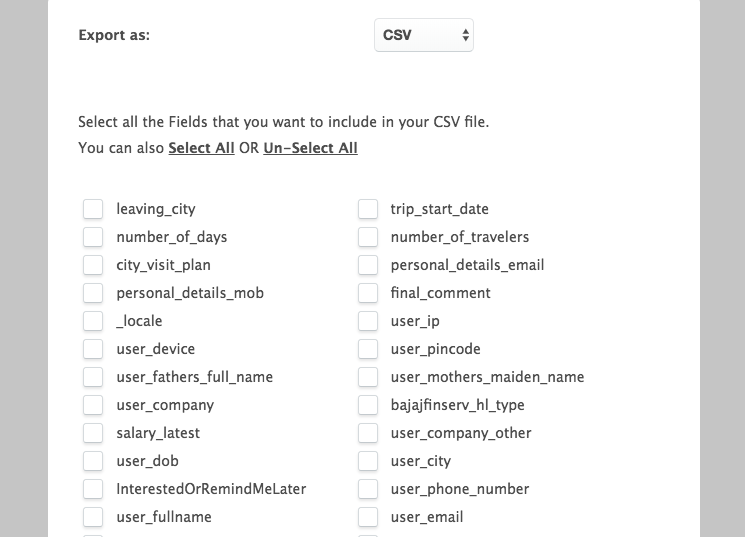 You can download all the user responses collected through the bot in CSV/Excel format. 1. 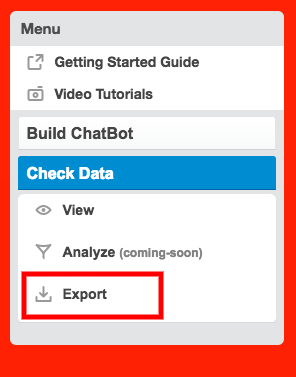 Go to the Check Data >> Export section in the left sidebar of your bot canvas. 2. Once you click on it, you will see a screen like the one in image below. Click on "Start Export" here. 3. After you have clicked on "Start Export", you will see all the gambit names displayed. And you can choose what all gambit data you would like to see in the downloaded excel sheet. Select the ones you want and click on "Export".